May Babcock (Critic, Printmaking) recently completed at exhibition, Blackstone Watershed: A Exhibition in Handmade Paper, at Machines with Magnets (400 Main Street, Pawtucket). The result was two-part. Ebb and Flow V, a sculptural paper wall installation based on hydrology maps of the watershed area. 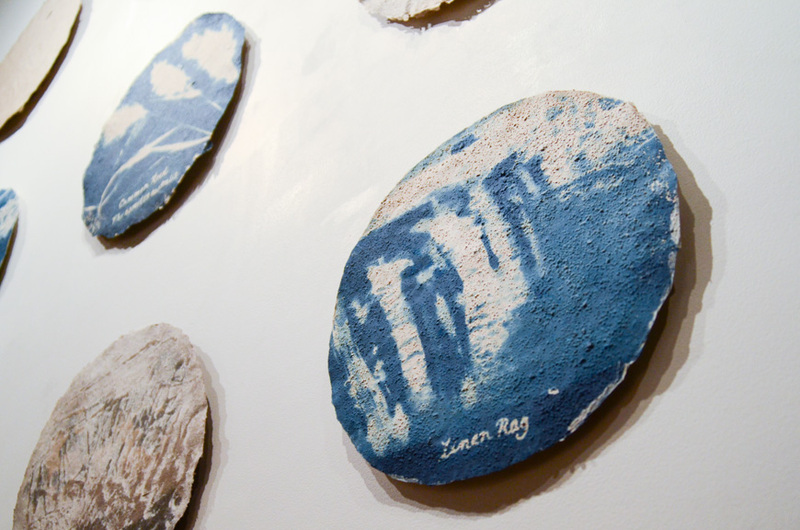 This is the fifth iteration of a series of collaborative installations with Megan Singleton based on various watershed across the country. 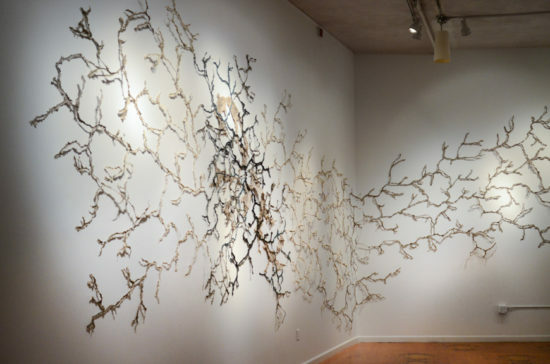 Babcock used harvested plant fibers, sediment, and linen rag for pulp to create dendritic lines of dimensional paper. 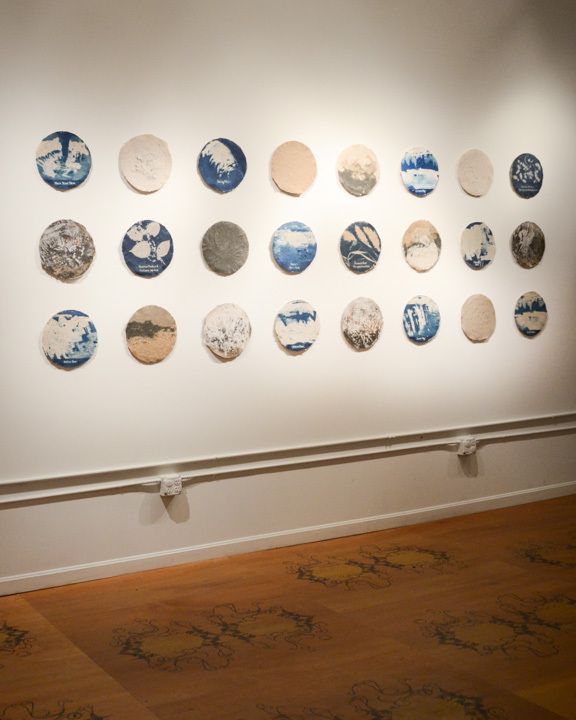 Directly related to Ebb and Flow V is a group of 24 circular handmade papers, Blackstone River Suite, which acts as a type of taxonomy of the installation and sites. Cyanotype prints with text and imagery identify dam sites, fibers, and plant species, while river mud papers and pulp paintings are explorations of the material.